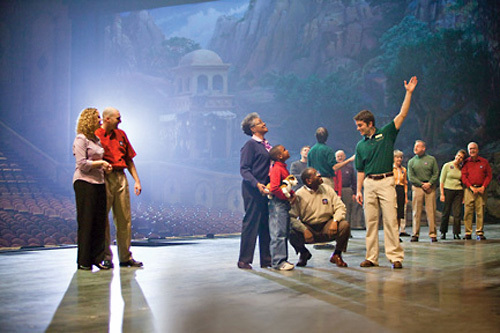 Go behind the scenes at Sight & Sound Theatres for an eye-opening look at what it takes to produce a show of epic proportions. 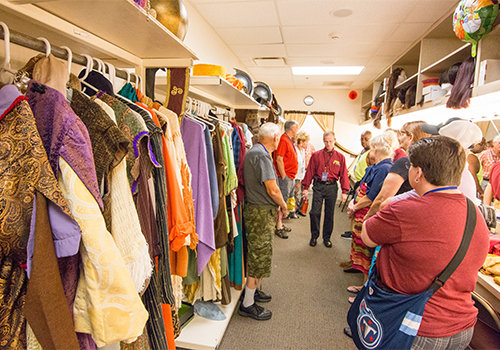 Actors from the show lead the tour as you learn about set construction, sound, lighting, cast dressing rooms, animal actors' areas and more. Get a glimpse of the state-of-the-art scene shop, elaborate costume studio and stand on the stage for a unique actor’s viewpoint. Inside look at set design and creation. Get rare glimpse of state-of-the-art scene shop. View stage from actor's point-of-view. Tour duration is 60 minutes. 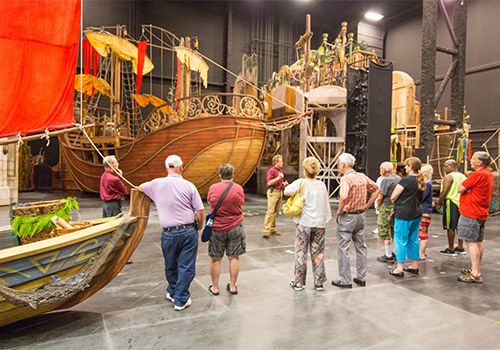 Join us for a 60-minute, actor-guided tour! Actors are your guides for this close-up look at how our shows happen. 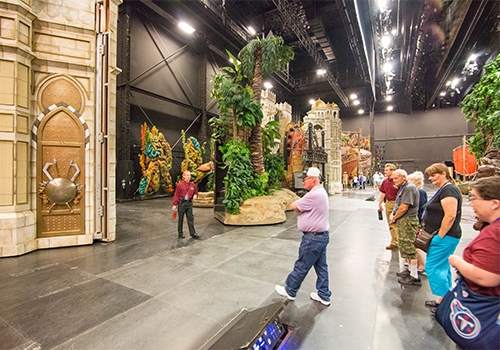 Learn about set contruction, sound, lighting, cast dressing rooms, animal actors' areas and more! 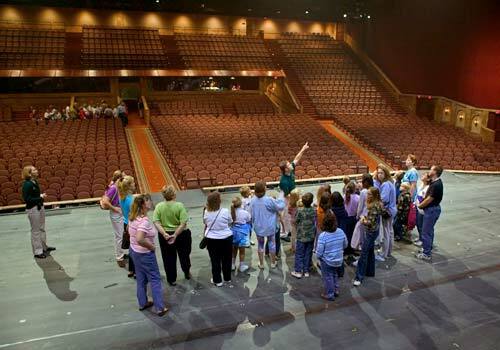 A million watts of lights - sixty-thousand watts of sound - and a stage over twenty-thousand square feet in size: shows at Sight & Sound Branson Theatre are live theatre productions on a massive scale. 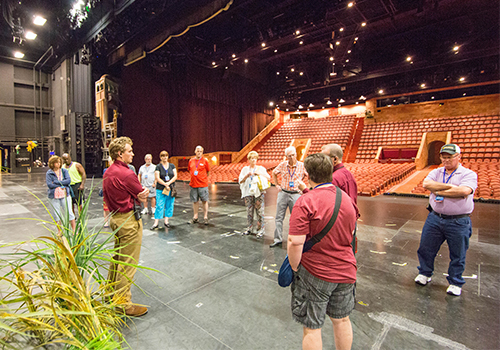 Now, you have the exclusive opportunity of going backstage in our Behind The Scenes Tour. Discover the technology and ingenuity that powers the dramatic complexity of each show. 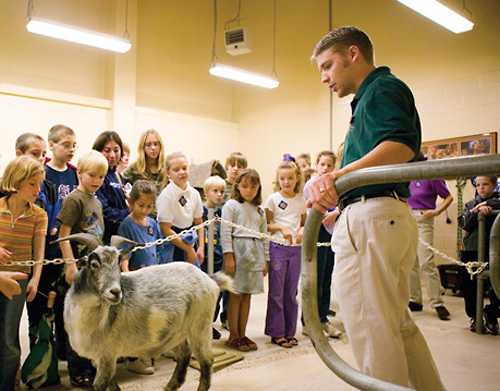 You'll visit the nerve centers that keep the lights, sound, stage - and even animals on cue. You'll also glimpse a state-of-the-art scene shop creating sets for upcoming shows. 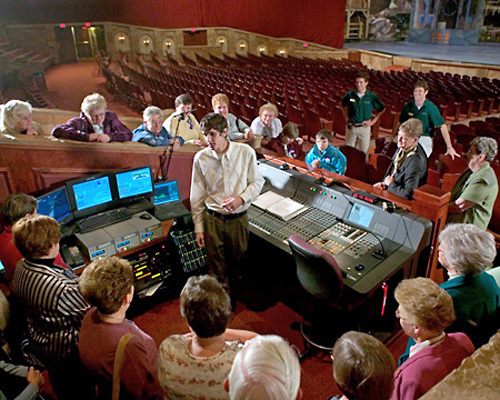 Learn about the process involved in bringing a story to life, and step up to the stage for an actor's view at our incomparable Branson Theatre. The tour is approximately 1 hour (60 minutes) long. Tours are held in the afternoon only. Is parking available? Is there a parking fee? 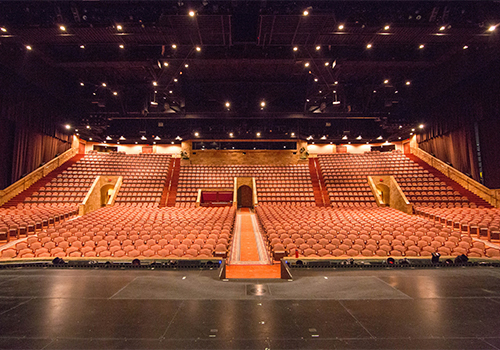 Parking at the Sight & Sound Theatre is available for cars, vans, RVs, buses and motorcoaches. Parking is free to all guests. No. However, our theaters do house concession stands that guests may utilize.